Ald. 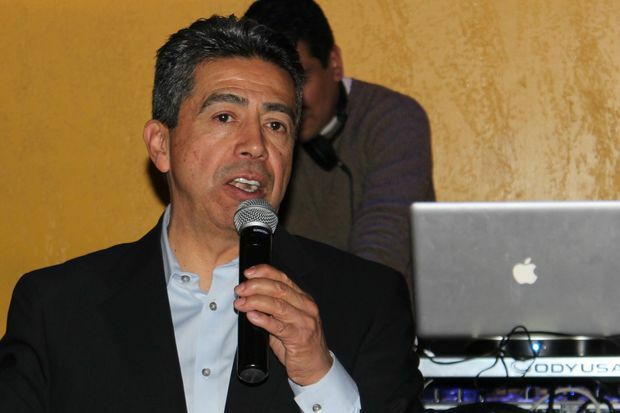 Danny Solis (25th) addresses supporters during the 2015 aldermanic election. CHICAGO — Fifty students at Benito Juarez Community Academy must renew their protected status as recipients of Deferred Action for Childhood Arrivals in the next three weeks or risk deportation as the program comes to an end. But with a $30,000 donation raised by 25th Ward Ald. Danny Solis, the cost of renewing will be one fewer obstacle for them to face. The alderman stepped up to find the money after learning from advocates at The Resurrection Project that the students who have DACA statuses expiring between Sept. 5 and March 5 had to renew their two-year status by Oct. 5. On Tuesday, he met with the 50 families to let them know that payment for the renewal application would be covered. Their relief, Solis said, was immediately apparent. "It's like a rollercoaster in terms of how their lives have been," Solis said. "They've had a tough situation that made an impact in many ways — psychological, emotional — and you can really feel for them." There are about 250 students at Benito Juarez out of its 1,729 who are DACA recipients, but only a portion are eligible for renewal before President Donald Trump's decision to end the Obama-era program takes effect next year. There are an estimated 9,000 DACA recipients in Illinois who need to apply for renewal by Oct. 5 out of 42,000 people in the state who have the deferred action status, according to The Resurrection Project. To be eligible for DACA, immigrants must have entered the United States before their 16th birthday and be under 31 years old when the policy came into effect in June 2012. Recipients must have lived continuously in the country since 2007 and be high school graduates, military veterans or current students. They cannot have felony or significant misdemeanor convictions. The renewal application costs $495, and legal fees are another $50 through The Resurrection Project. Coming up with that kind of money can be difficult, particularly when 95 percent of the Juarez student body come from low-income families, said Juarez Principal Juan Carlos Ocon. "When I found out that our students only had one month to apply, I knew funds would become an obstacle," Ocon said. Donating the money, he said, "ensures that every Benito Juarez student who needs to renew can do so, and will be protected from deportation for two more years." The Resurrection Project recently launched DACAfund.org to raise money for so-called Dreamers to renew their status that allows them to work in the country legally without fear of being deported. Donors can sponsor a Dreamer in full for $550 or pay for their legal representation for $50. The Pilsen nonprofit is also hosting DACA Tuesdays this month to provide legal help and mental health services to DACA families. "Times are tough, and our community is hurting," said Erendira Rendon, director of national partnerships at The Resurrection Project. "Solis' leadership offers hope to the students affected at a critical time." Solis, who calls the plan to end DACA "unthinkable," said he is hopeful that his actions will spur others — particularly his fellow elected officials — to help out. "Maybe we can start a chain reaction where other people can support these young men and women," Solis said. "I don't want them to be worried or nervous or have money as a limitation to do this." Solis worked with some of his "top" campaign donors, asking them to divert the money directly to The Resurrection Project instead of him, he said. And while $30,000 would have been a significant boost to his campaign coffers — Citizens for Solis had $78,283 stored up as of June 30 — donating the money was simply "doing the right thing," the alderman said. "People don't forget that," Solis said. "It's much better to do than have a TV ad with me smiling, wearing a tie and saying, 'Vote for me.'"